Snap fits can be your best friend or your worst enemy. We use them every day. They show up in applications of all industries. Snap fits offer faster and more economical assembly than mechanical options such as fasteners, adhesives, welding, etc. A properly executed snap fit will provide feedback like a tactile lock and audible click. It should be easy but not too easy to engage and disengage. It should be intuitive to use and economical to manufacture. Designing for snap fits can be a tricky process. If incorrectly done, it will lead to mismatched or unusable part assemblies. Most of the collective wisdom around snap fits focuses only on the hook design. However, sometimes reality sets in where an inadequate hook design is a constraint and the other aspects of the snap fit system must be adjusted to achieve a reliable snap fit. In these situations, we must venture outside the body of knowledge available on snap fit design. An example illustrates the point. A diagnostics client recruited the Natech Engineers to provide design for manufacturability in preparation for a multi part mold build. The device is a diagnostics analyzer that reads and interprets data from a consumable lateral flow device. The analyzer houses a changeable backup battery under a removable door. The user needs to be able to quickly and easily remove the door to change the battery. In the worst-case scenario, during an emergency, first responders could experience a decrease in software performance and incorrect test results. During usability testing with the mating housing, the door proved too difficult for users to remove. As it stood, the only way to remove the door would be to disassemble the entire device and push the snap feature from below. An aggressive hook geometry had no lead out, essentially turning it into a one-way lock. Altering the snap fit’s hook was not a feasible option because the door design was already tooled with the aggressive hook geometry. Changing the tool at that point would be expensive, time consuming, and could introduce additional risks. However, the mating housing was still in the prototyping stage. Updating the snap fit geometry of the mating housing could avoid costly tooling modifications of the door. Conventional wisdom would dictate a straightforward interference reduction, so the Natech Engineers started with a reduction of the associated snap on the mating housing. The changes were designed in CAD and prototyped at varying interference levels from as high as 0.028” down to no interference. With those modifications they found the snap fit was still overly engaged even at a zero-interference point due to the sharp edge on the hook of the snap fit. Knowing this, an iterative approach using a design of experiments (DOE) was selected as the best path to a solution. Four parameters were monitored and optimized as they stepped through the DOE. The springboard distance is the amount of opening in the mating housing that allows the door to flex. This allows the user to press down on the tip of the door to bend the door enough to release the snap fit. They started with a minimal interference at 0.015” and modified the springboard distance of the mating housing from very low to very high. During testing, at too large of a distance the snap fit engagement could not be retained. At too short of a distance the force required to disengage was well beyond what a user could exert. At the optimal distance the door was easier to remove. However, the force a user needed was still too large, so additional design changes were required. The snap feature on the mating housing started as a rectangular shape. This created a line-to-line contact over the full length of the snap engagement. Such a long engagement surface contributed to the excessive force required to disengage the snap fit. They redesigned the snap feature’s shape to be a spherical bump. Converting the line contact to point contact reduced the contact area which decreased the force required to disengage. Optimizing the engagement would require one additional design decision. With the redesigned shape of the snap feature they needed to identify the optimal angle of attack with the area of engagement on the spherical surface. The angle of attack describes the angle of engagement between the snap feature and the sphere. Increasing the sphere increases the angle of attack. Increasing the angle of attack increases the engagement and gives a tactile and audible snap. Too low of an angle of attack provides too weak of an engagement. 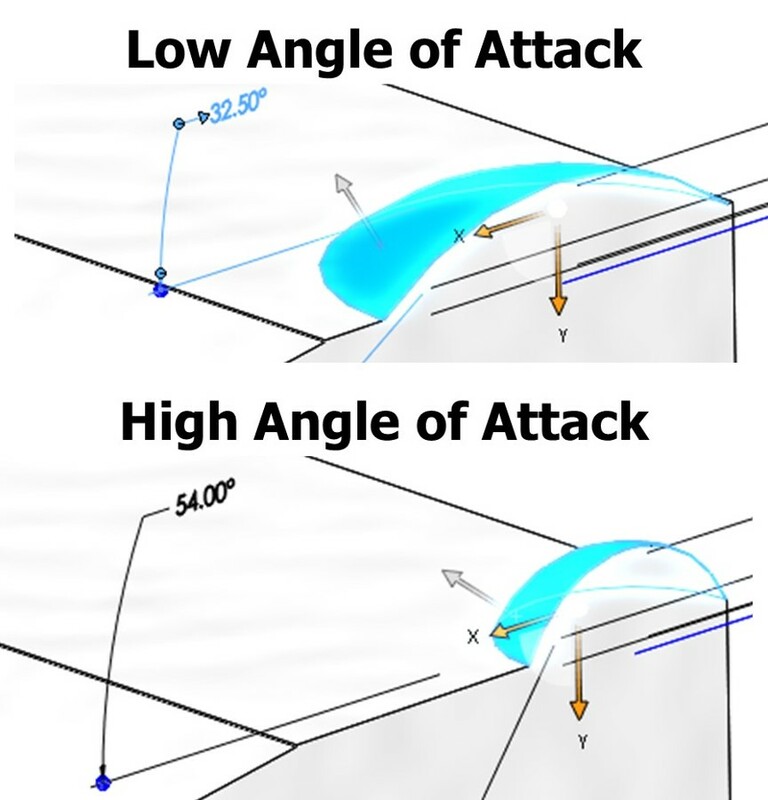 They designed and prototyped angles of attack from 32.5 to 54 degrees. They found the more aggressive angle to be most favorable. This passed the usability test. However, the prototype then failed the drop test. The interference needed to be increased enough to pass the drop test without going too far and failing the usability test. They modified the geometry of the snap feature from a sphere to a rice grain. The rice grain shape increased the contact surface while maintaining the interference that worked best for users. This final iteration maintained the usability while passing the drop test. This preserved the client’s budget, satisfied user requirements, and passed the drop test. Adjusting the interference, although common, is not the only way to optimize a snap fit. At times, the interference may not even be the underlying issue. When developing snap fits for your application, remember to review the factors that influence both the fit and the feel.